Amazingly successful Internet entrepreneur, Marc Ostrofsky, whose self-published edition of this title made the New York Times bestseller list, presents all of the insights, tips and strategies needed to make money—and lots of it—online. The Internet is arguably the most powerful business tool in the history of mankind. You can use it to make money, save money and create new revenue streams quickly and easily, often with no start-up capital. The Internet is changing the way business is conducted and fortunes are made! Get Rich Click! shows you how to jump in and begin making money online immediately. Author Marc Ostrofsky is an entrepreneur and Internet pioneer whose companies make $75 million annually. He outlines the strategies that made him a multimillionaire despite having no technical skills and never creating a single website. His key to success: “Know your strengths, outsource your weaknesses and know what you don’t know." If you think you’ve missed the window of opportunity in the digital world, Marc Ostrofsky says otherwise. Everyone has the capacity to learn and profit in the new economy—no matter what their skills, knowledge or experience. Now is the time to change your ideas about making money, accumulating wealth and taking control of your financial future. 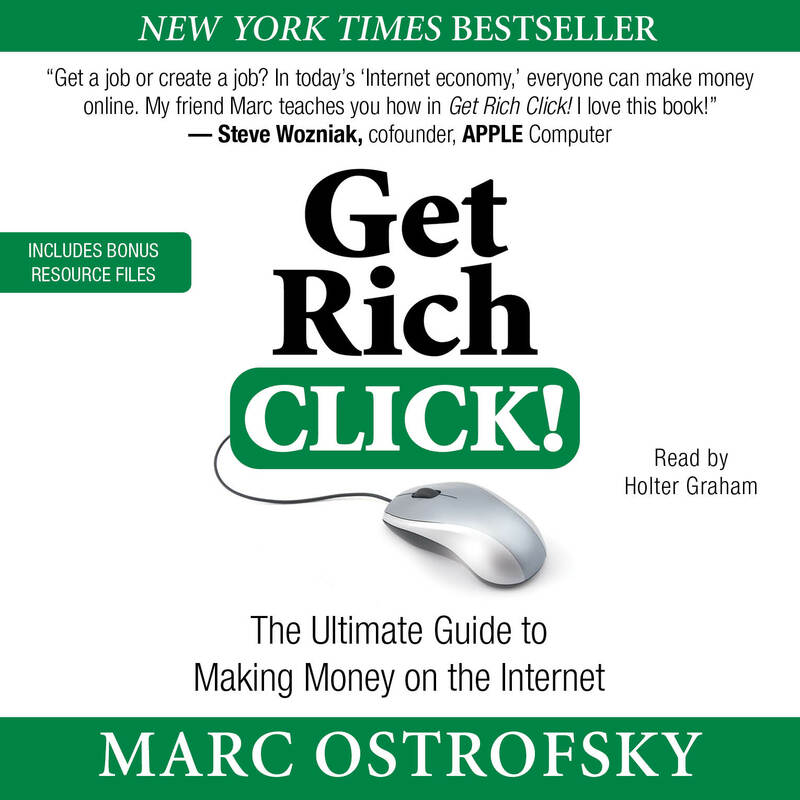 Let Marc Ostrofsky show you the way in Get Rich Click! Book Cover Image (jpg): Get Rich Click!